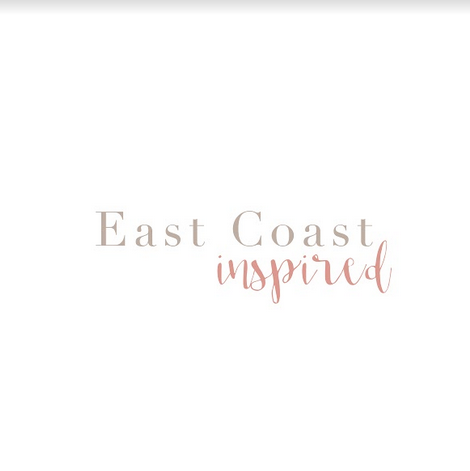 Believe it or not, the East Coast Inspired Body Image Campaign was born through an idea about a pair of pants. We want to normalize images of real sized women across media platforms. We want to make the in store fitting room and online shopping experiences easier. We want to show what women, real women, look like in a pair of jeans to help you better extrapolate what size will work best for you. 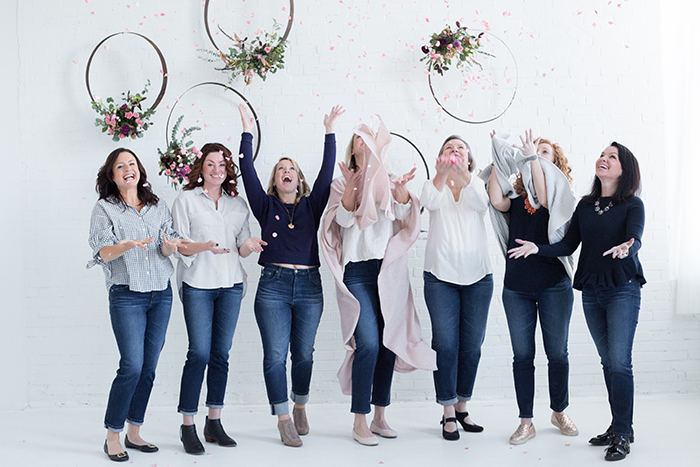 All of those hopes and dreams culminated in a vision: to photograph a size run of women in a pair of pants, and style these women in figure flattering outfits for different body types and ages. We firmly believe we can all look beautiful in well-fitting and figure-flattering clothing. 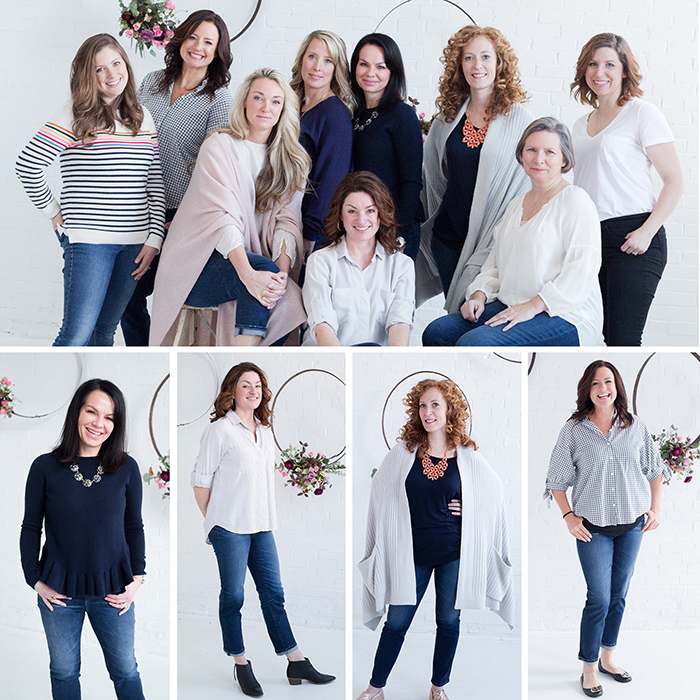 So we chose to visually demonstrate this by bringing you seven women (sizes 0-12) all wearing the same jeans! And, thus, the body image campaign was born. We’ve heard a lot from these inspiring women about their beliefs, their journeys to self love and self care, and their relationships with their bodies and themselves. We know first hand how difficult shopping for pants can be, and it’s the reason why we couldn’t abandon their helpful feedback on this fit. That’s where this post comes in. When we think of jean selection in Maine, our first thought is always Bliss Boutique on Exchange Street in Portland. They truly have an unparalleled variety of designer jeans, available online and in store. We approached them right away and are so thankful they agreed to participate in this project. When selecting denim for this post, we wanted something that was universally flattering. We naturally gravitated toward a darker wash, narrower leg, and higher waist. We ultimately landed on the Isabelle High Rise Straight Jean by AG. Another thing we liked about this particular cut is the 27” inseam, which accommodates our more petite models (myself included!) and still hits at a flattering ankle length for our taller models. In addition to the various design boxes these jeans ticked, another reason why we chose them is that the brand believes in being socially active and responsible- and we felt that level of brand integrity was important for the brand we were building our body image campaign around. According to their website, “[a]t AG, our mission is to provide quality product while exercising corporate social responsibility on all levels. We strive to be a positive example of business integrity, and that commitment plays a crucial role in guiding the day-to-day practices and long-term strategies of our company.” They own their own facilities and enforce a strict ethical labor policy, place a high priority on water conservation, use eco-friendly fibers, take great care to reduce the amount of waste they generate, and continually invest in the latest technology in order to increase the efficiency of their manufacturing facilities. It’s so wonderful to see, and support, such a proactive brand! Denim: Loves these jeans. Good balance of stretch, they hold in your body but there’s give to them. Denim: Comfy, all day jeans, not just date night jeans. Sizing: Run a little big. Denim: Loves the denim, especially how the high waist curves up and over a small baby bump. Really likes how soft and stretchy the midweight fabric feels. Sizing: True, maybe a little big since it fits over a just-beginning-to-show bump? Denim: Self-declared; not a jeans person, but when she wears jeans they must be comfortable. These check that box; very comfortable when standing or sitting, and keep their form. Denim: Not her usual style, but comfortable and stretchy. Generally prefers full length over cropped, and this is no exception. The fabrication is a heavier weight than her AG full-length skinny jeans. She prefers the lighter weight to the medium weight. So the take away is this: as we hoped, these high-waisted, dark wash, slim straight denim are universally flattering. We styled them with flowing tops, fitted tops, oversized sweaters, cuffed and uncuffed, and they were a workhorse! Our models agreed they were comfortable, generally considered true to size or *slightly* larger than true to size, and gloriously stretchy. Whether you love skinnies or you’re still holding onto your bootcut (PS- they’re making a comeback with an updated crop leg! ), we hope this fit review will give you the nudge you need to try something different. Not to mention, they’re a brand you can feel good about supporting.